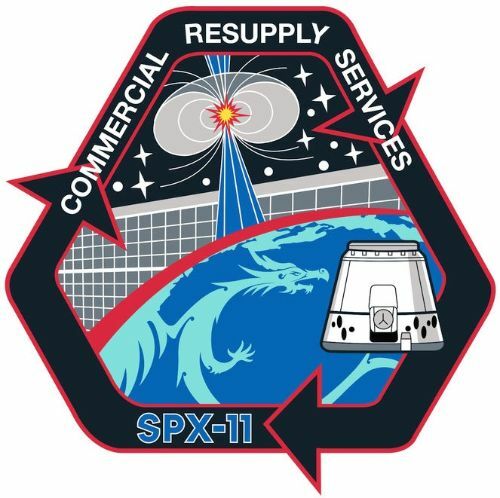 Dragon SpX-11 is the eleventh operational SpaceX cargo resupply mission to the International Space Station under NASA’s Commercial Resupply Services contract. Lifting off in June 2017, SpX-11 is the second Dragon mission to ISS in 2017 and supports a very busy summer of science operations with over 200 studies underway aboard the U.S. Segment during Expedition 51/52 from April through September. The Dragon SpX-11 mission is the first re-flight of a Dragon pressure vessel. Known as Dragon 6, the vehicle first flew in September/October 2014 on the SpX-4 mission. SpaceX designed the Dragon cargo craft to be at least partially reusable in that their pressure vessel and propulsion system were baselined for multiple mission cycles. Some components like the trunk section and solar arrays are discarded before re-entry and have to be built new for every Dragon mission. Also new on the Dragon are its batteries and the heat shield due to concerns with sea water exposure after landing. 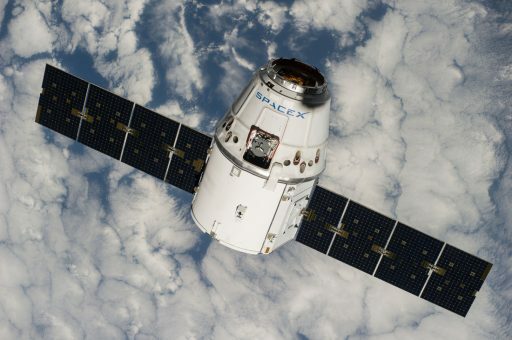 Under the CRS-1 contract with NASA, SpaceX was required to use a new Dragon spacecraft for every mission and has done so for the first ten operational flights. 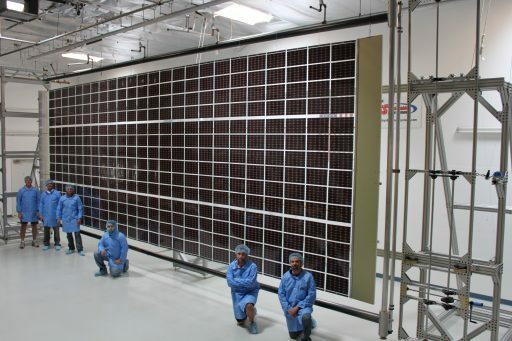 Working with NASA, SpaceX demonstrated that the spacecraft can be safely reused for additional cargo flights after overcoming some teething issues encountered on the initial Dragon missions like seawater entering electronics compartments on the capsule after splashdown that caused some trouble with power outages after landing following Dragon’s first few visits to ISS. Some hardware will be replaced for Dragon re-flight missions particular in the area of avionics but the pressure vessel and structures can be re-used without much refurbishment work. 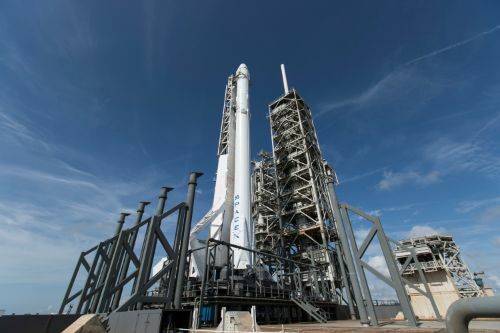 SpaceX and NASA agreed to reuse Dragon spacecraft through the end of their CRS-1 contract which runs to SpX-20 – provided the first re-use mission does not uncover any problems. This will allow SpaceX to close down the Dragon 1 production line and focus on the Dragon 2 spacecraft that is designed to carry crew and cargo to the Space Station. 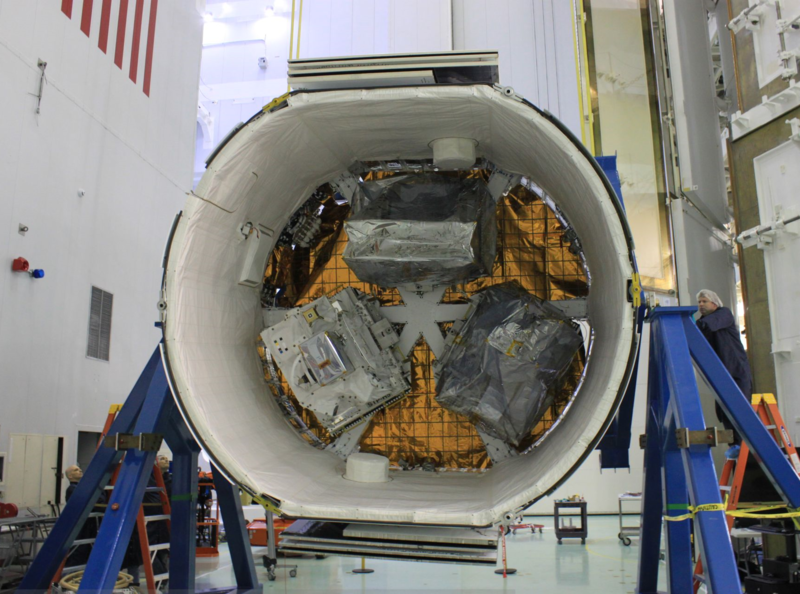 Under the CRS-2 contract, SpaceX will be using a cargo version of the company’s Dragon 2 spacecraft that provides a larger volume for cargo which, coupled with the upgraded Falcon 9 Block 5 rocket, will allow for an increase in cargo upmass to the Space Station. The Dragon 2 cargo missions will also use a propulsive landing scheme where the capsule lands on a flat landing pad under the power of its SuperDraco engines – allowing faster access to the cargo it returns and allowing for plenty of powered landing experience to be built before crewed missions will begin returning to land rather than splashing down in the ocean. The Dragon SpX-11 mission will lift a total cargo upmass of 2.7 metric tons to the International Space Station, comprised of 1,179 Kilograms of unpressurized cargo in the craft’s trunk section and ~1,600kg of pressurized cargo in the vehicle’s internal compartment. 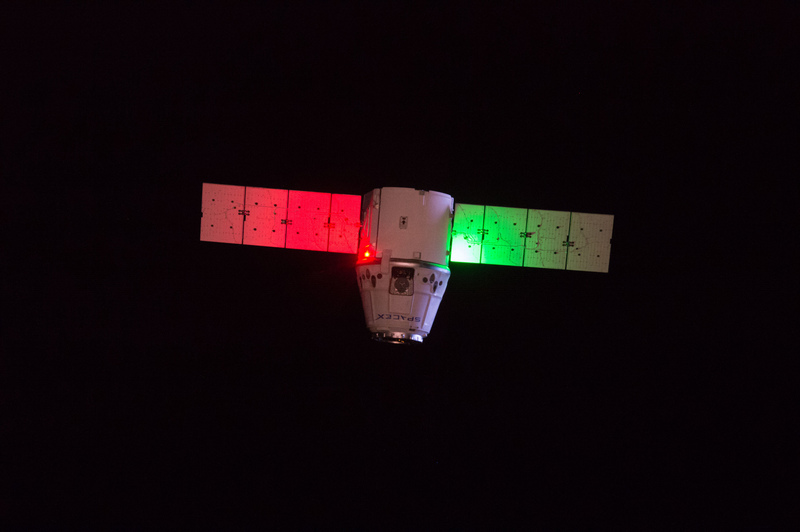 Departing ISS, Dragon will be loaded with 1,900 Kilograms of return cargo consisting of experiment hardware, systems hardware, crew items and no-longer-needed items. 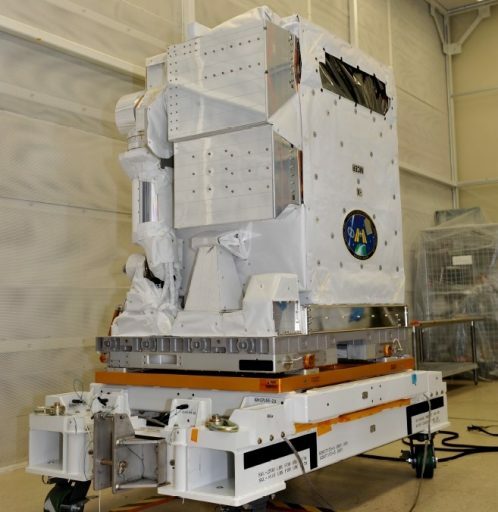 Bolted in the Trunk Section of the SpX-11 Dragon are three external payloads – the Neutron Star Interior Composition Explorer (NICER) dedicated to cutting-edge research on the most dense stars in the universe and their potential use as space-based navigation sources; the Multiple User System for Earth Sensing (MUSES) to provide an Earth-pointed platform for remote-sensing instruments; and the Roll-Out Solar Array (ROSA) that will test technology needed for the satellites of the future. Both, NICER and MUSES, will take spots on the Station’s Truss Segment while ROSA will complete a week-long demonstration before returning to Dragon’s trunk section. The Dragon SpX-11 spacecraft will launch with two Animal Transporters supporting the fifth Rodent Research Experiment and a pair of Polar freezers carrying cooled sample materials to the Space Station. For return, Dragon will hold one Animal Transporter and four powered Polar freezers returning various samples from the Station’s laboratory freezers. NICER, the Neutron-star Interior Composition ExploreR, with its SEXTANT Extension (Station Explorer for X-ray Timing and Navigation Technology) is an external payload hosted on the International Space Station for the study of neutron stars through soft X-ray timing and a space-based demonstration of pulsar-based navigation that offers much higher accuracy than current radio-based navigation architectures. Neutron stars are ultra-dense stars that measure only a few tens of Kilometers in diameter but can hold twice the mass of the Sun in an extremely condensed volume at mind-boggling density. They are among the hottest stars and possess the highest stable densities known anywhere. How matter behaves under these extreme conditions has been an open question for decades and a number of theories have been developed over the years, requiring verification via astrophysical observations. This is where NICER comes in, collecting highly sensitive rotation-resolved spectra of the thermal and non-thermal emissions of neutron stars in the soft X-ray band. This unprecedented measurement accuracy will be used to probe the interior structure, reveal the mechanics of dynamic phenomena and understand the physics of ultra-energetic particle acceleration at neutron stars. Dragon SpX-11 is the fifth mission to carry ‘Mousetronauts’ to the International Space Station following a proof-of-concept rodent mission on SpX-4 and rodent science flights on SpX-6, 8 and 10 that had different research topics ranging from antibody response in space, space-induced rise in intracranial pressure to a method for prevention of sekeletal muscle atrophy and weakness. Rodent Research 5 goes by the full name of “Systemic Therapy of NELL-1 for Osteoporosis” and tests a new drug that can rebuild bone and prevent further bone loss which could have massive implications for future space travelers spending extended periods in microgravity as well as people on Earth suffering from from osteoporosis. Bone density loss is one of the fundamental issues faced when embarking on long trips through space. Current countermeasure include physical exercise to prevent the progression of bone density loss, but in space and on Earth, therapies developed for osteoporosis cannot restore bone that is already lost. NELL-1 could be the answer for slowing and/or reversing bone loss during space flight. 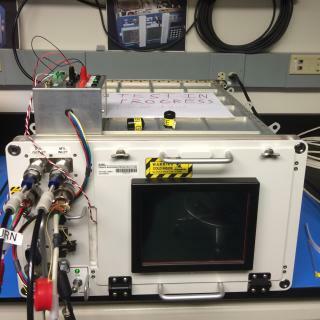 The experiment is run in a partnership between the Center for the Advancement of Science in Space (CASIS) and the University of California at Los Angeles (UCLA). The study of accelerated bone loss in space can provide valuable insight into disease mechanisms, validate new drug treatments and enable the preclinical evaluation of candidate therapies. 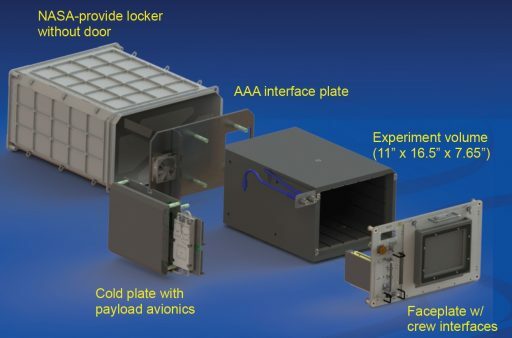 The Rodent Research Hardware enables rodents as model organisms to fly to the International Space Station, broadening the Station’s scientific repertoire and enabling cutting-edge drug studies in the unique environment offered in Low Earth Orbit. Rodent Research 5 features 40 female lab mice (BALB/c mice at age 32 weeks) that will hitch a ride aboard two Animal Transporters before taking up residence in the Station’s Rodent Habitat. Half of the mice are maintained in the microgravity environment for around 32 days before returning to Earth while the other half are not as lucky and do not get a return ticket. As part of the study, 20 mice will receive subcutaneous injections of the NELL-1 drug plus intraperitoneal injections of bone markers one week after launch and then every two weeks. The other 20 will act as control and only receive bone marker injections. Dual-energy X-ray Analysis (DXA) scans are run one, five and nine weeks after launch. Out of each group of 20 mice, ten will be randomly selected for Live Animal Return after ~32 days while the others will stay on ISS and be euthanized after nine weeks. 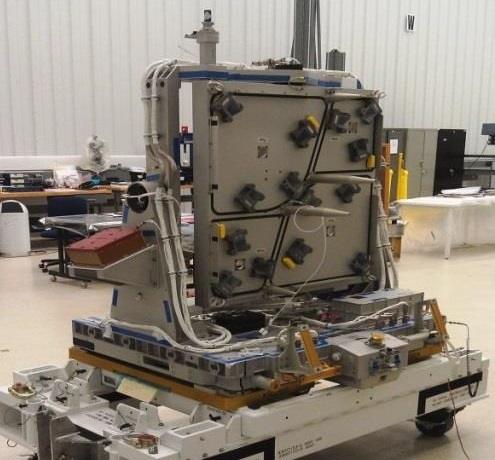 Blood samples will be stored separate from the specimens for return on a future Dragon mission. The returning mice will live in normal Earth conditions for some time so scientists can study whether the drug improves their recovery. 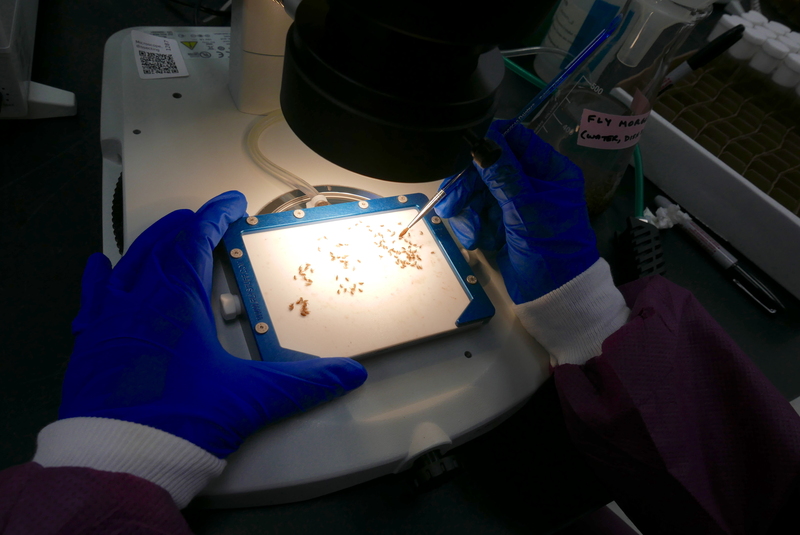 The Fruit Fly Lab is the most advanced research facility ever deployed to space for long-duration studies of fruit flies in the space environment. Experiments involving the fruit fly can allow scientists to determine how microgravity and other aspects of the space environment affects these insects, delivering valuable information for long-term human space flight with special focus on illnesses since about 77% of human disease genes have a close matches in the fruit fly genome. Fruit flies (Drosophila Melanogaster) are ideally suited for the study of the effects of microgravity on biological processes given their short life span that allows studies of the whole biological system from birth, growth, reproduction and aging over multiple generations. The focus of FFL-2 will be on heart disease. 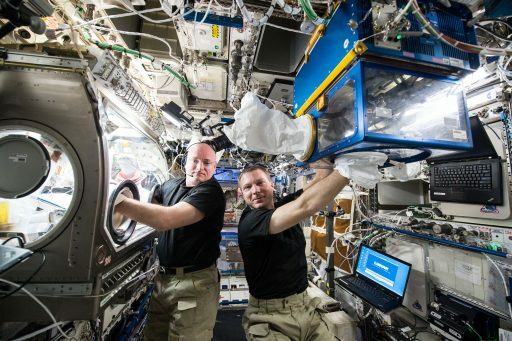 The space environment has a severe effect on the heart and cardiovascular system as seen in crew members returning from half-year missions to the International Space Station. However, studies using ISS crew members have not been able to isolate the cellular and genetic mechanisms that cause problems in the heart during space flight. FFL-2 aims to use the Drosophila model organism to compare flies that have hatched in space with flies developing on the ground to understand how extended spaceflight affects the heart function of fruit flies. 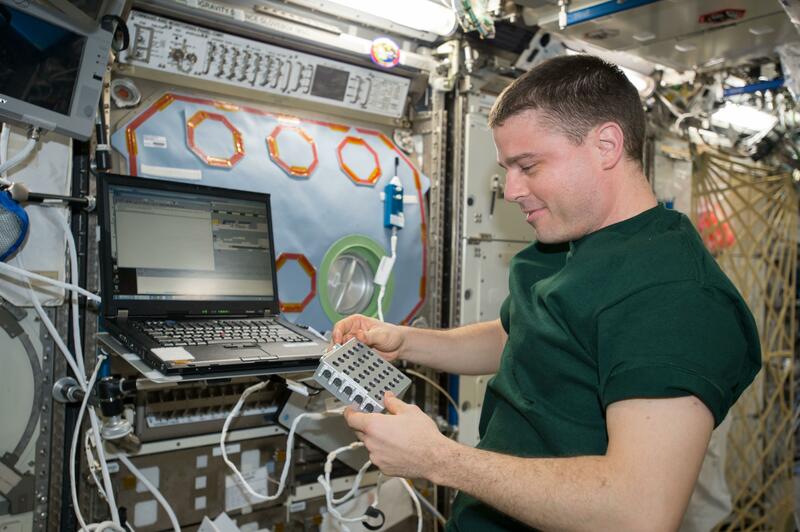 The study aims to quantify a number of heart function parameters to provide information on which aspects of heart function are affected by microgravity. 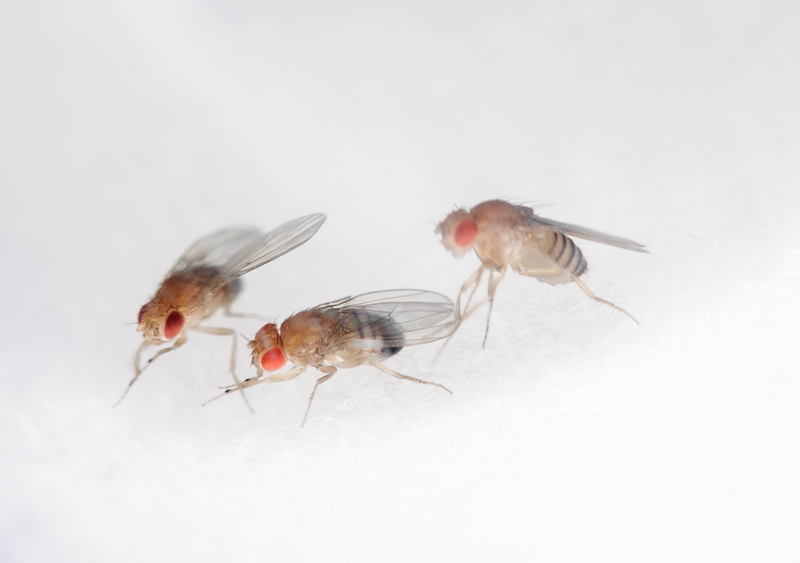 Two different strains of Drosophila are being flown as part of the experiment – one with an ion channel mutation that causes arrhythmias similar to humans and one with a mutation in muscle myosin that causes cardiac dilation. This way, an assessment can be made as to whether pre-existing genetic abnormalities play a role in space-induced deterioration of heart function. The study also looks at gender effects. The study will also conduct an examination of heart cells for structural abnormalities and attempt to quantify cardio gene expression changes using 30 Drosophila hearts for complete gene expression analysis. Also, flies from fertilized eggs laid in space will be assessed at one, three and five weeks of age to reveal whether effects on heart function, structure and gene expression suffered in space can persist. 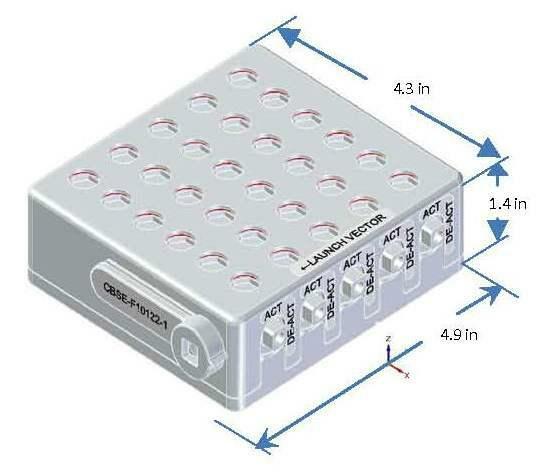 FFL-2 comprises six Vented Fly Boxes, each containing triplicate samples of five different fruit fly strains. Over the course of the one-month mission to ISS, the ground-born flies develop adulthood and reproduce. Live space-born flies are returned to Earth for analysis. 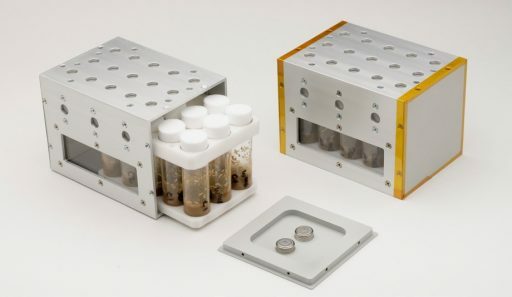 The Vented Fly Boxes are part of three flight-validated platforms currently available to facilitate fruit fly research, the others being the Fly Cassette System employed by FFL-1 and the Compact Science Experiment Module that can support data up/downlink. The Vented Fly Box (VFB) provides space for 15 standard fly vials containing flies and food to support cultures for one month. Mesh-covered vents provide airflow into the vials. No power or data connectivity and only minimal crew time is needed to maintain the experiment in orbit via regular health inspections. 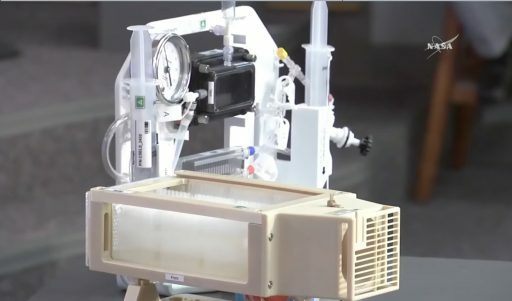 The Capillary Structures for Exploration Life Support investigation looks at a new method of using structures of specific shapes to manage fluid and gas mixtures in water recycle and carbon dioxide removal systems, aiming to create more efficient, reliable and lightweight life support equipment for future missions. At present, separation of liquids and gases is accomplished with rotating or moving devices that are prone to failure. 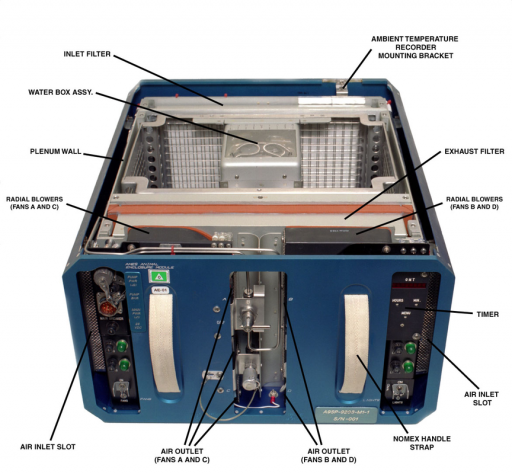 For the water recovery experiment, known as Capillary Brine Residual in Containment (CapiBRIC), a capillary structure is used to passively recover water from the brine left over from the ISS Urine Processor Assembly. The structure holds a brine substitute and maintains a free evaporative air flow, allowing a sweep gas to strip away moisture from the simulated brine. A condensing heat exchanger than condenses the water and sends it to a water processor that conditions it as technical or potable water for use on ISS. The focus of this particular experiment is on characterizing the efficiency of the containment provided by the capillary structure and the evaporation rate achieved by the sweep gas. Different pore shapes, connectivity, depth and contact line length are employed to inform designers of future operational systems. The second part of the study looks at Carbon Dioxide Removal which – as ISS has shown – is difficult to achieve in a maintenance-free system. The current generation of space-based CO2 removal systems employ a reusable, solid sorbent that removes CO2 from the air before reaching saturation at which point another sorbent bed is activated and the saturated bed is ‘baked out’ to remove the carbon dioxide. 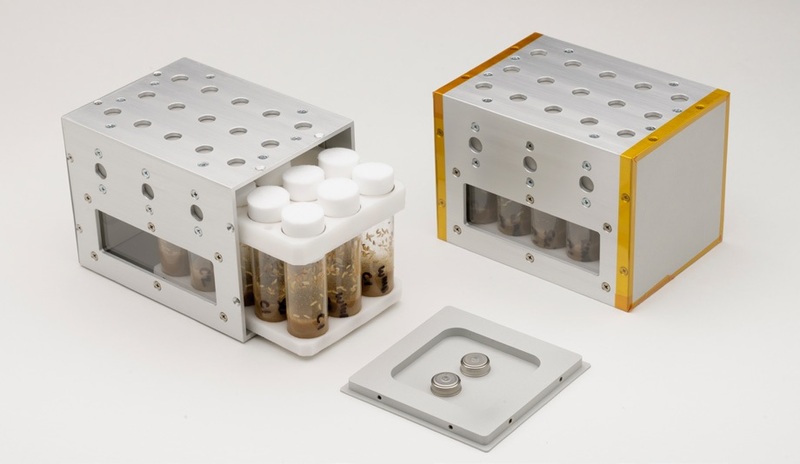 On Earth, much more efficient and reliable systems with liquid sorbents are utilized which could not be used in space yet because of challenges in separating liquid and gas phases. Capillary structures provide an opportunity to introduce liquid CO2 sorbents for microgravity applications. 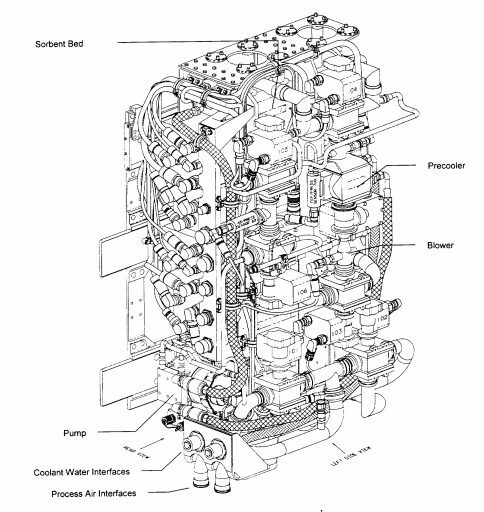 The structures are used to build a direct liquid-air interface at the contactors over which the fluid is flown and passed on to the next process. Particular focus is on the flow of liquid over manifolded capillary channels with respect to total system liquid-volume and pump speeds needed to move the fluid. Two different contactor designs will be evaluated to determine which will be the best solution for an operational system. 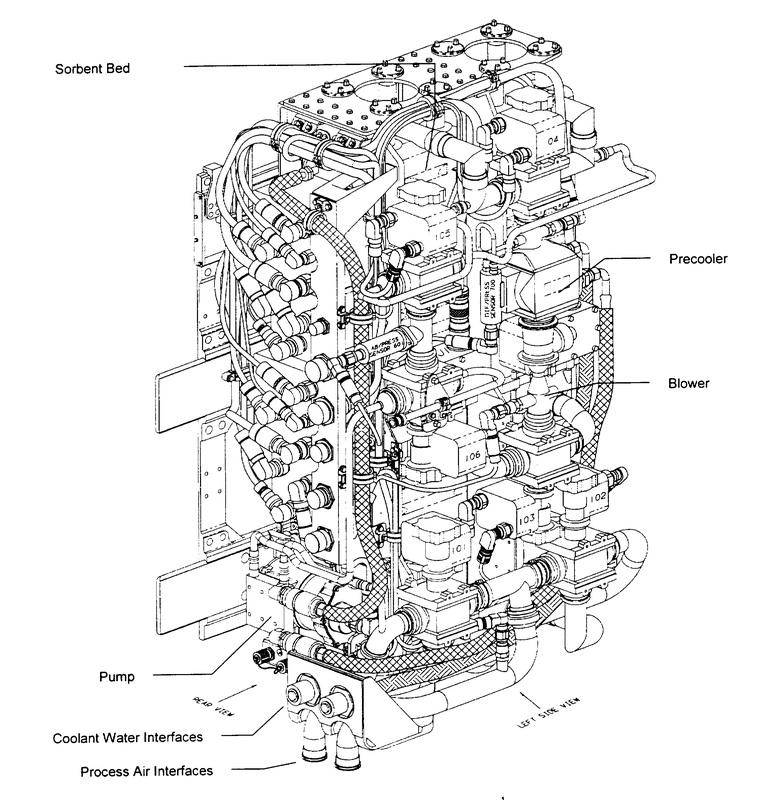 The Space Station’s current Carbon Dioxide Removal Assemblies (CDRAs) are relatively complex in design with various pumps, lines and valves to control the flow of air through the different beds. Due to this complexity, the CDRAs have been among the most troublesome components in the Station’s life support system with many crew hours spent maintaining and repairing them. For an exploration mission beyond Earth orbit, a CO2 removal system with very high reliability and minimal needs of maintenance and spare parts will be needed to sustain a crew over a long period of time. The Protein Crystal Growth-6 experiment continues to exploit the novel environment aboard ISS for the study of protein crystallization in the absence of gravity to understand the mechanisms of protein crystal growth in order to improve pharmaceutical products on Earth. The experiment goes by the full name ” Neutron Crystallographic Studies of Human Acetylcholinesterase for the Design of Accelerated Reactivators (CASIS PCG 6)”. The human body generates a wide range of cells and proteins, including monoclonal antibodies to fight multiple diseases and pathogens. The crystallization of these proteins allows pharmaceutical researchers to get insight into properties and mechanisms of protein growth using antibodies that are currently undergoing clinical trials in the treatment of several diseases. PCG-6 aims to produce high-quality crystals of acetylcholinesterase, a medically important neurotransmitter enzyme relevant for the development of antidotes to fatal Organophosphate nerve agents which work by inhibiting acetylcholinesterase in the nervous system. High-quality crystals are needed to determine the enzyme’s structure at atomic level in order to identify its reactive areas and determine the structure of the antidote to be effective in inhibition and reactivation. Growing Protein crystals in space yields larger, more uniform and pristine crystals than those grown on Earth due to the absence of a number of issues such as sedimentation and shear forces, preventing the growth of large molecules. PCG-6 is launched at 12°C in an inhibited state to avoid crystal growth to begin prior to reaching ISS. Activation is completed in orbit by the crew within six days of launch by turning the sample cells clockwise by 90° which allows the sample to enter the precipitant reservoir. The experiment containers are then kept at +10°C for a period of 21-30 days of crystal growth before deactivation and stowage in Dragon, keeping the sample vials at +4°C until being retrieved from Dragon as be part of the expedited return cargo to undergo crystallography once back on the ground. Functional Effects of Spaceflight on Cardiovascular Stem Cells (Cardiac Stem Cells) focuses on the effect of microgravity on stem cells at a molecular level to help understand the mechanisms that drive a deterioration of heart function in crew members undergoing long-term exposure to the space environment. In particular, this study will clarify the role of stem cells in cardiac biology and tissue generation, also with with respect to the hypothesis that the microgravity environment accelerates the aging process. Direct benefits from the experiment will be new insights into potential stem cell therapies to combat heart disease and repair cardiac tissue damage. Cardiac Stem Cells aims to determine the impact microgravity has on early cardiovascular stem cell signaling, migration, proliferation, differentiation, and senescence in neonatal and adult stem cells. Particular focus is on the age-dependent effect on these parameters to validate the hypothesis that the space environment accelerates the aging process. Studies completed on Earth showed a number of micro-ribonucleic acids (microRNA) whose expression is significantly altered with age, causing adult heart cells to exhibit reduced proliferation and a limited capacity to self-repair lost heart muscle. The impact of the space environment on these specific gene expression profiles will reveal new insights into the aging process of the heart and could provide knowledge for the development of new regenerative medicine to reverse the limited repair capacity of adult stem cells. 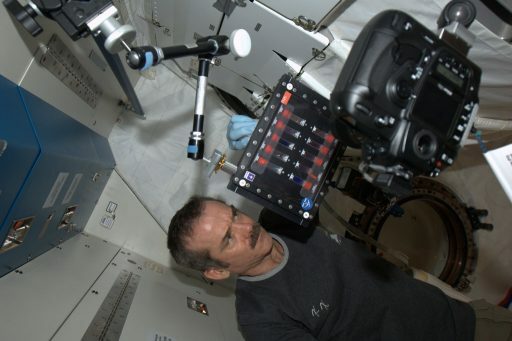 Continuing colloids experimentation underway aboard ISS for over a decade, the Advanced Colloids Experiment Temperature-6 (ACE-T6) will be performing a series of microscopic imaging investigations of materials which contain small colloidal particles. Consumer products relying on colloidal mixtures have to satisfy two opposite purposes – they have to disperse the active ingredients (particles) while also maintaining an even distribution of the particles in solution so the product does not spoil. Performing colloid experiments aboard the Space Station in Zero Gravity allows scientists to separate the effects induced by Earth’s gravity in order to examine flow characteristics and the evolution and ordering effects within these colloidal materials. ACE-T6 aims to study the microscopic behavior of colloids to improve models of the evolution (coarsening) of microstructure in gels and creams which will ultimately help to control these systems and increase the shelf life of consumer products.